Several schools and organizations in Central Indiana are better understanding the long-term effect of experiencing some form of trauma, a deeply distressing or disturbing experience. 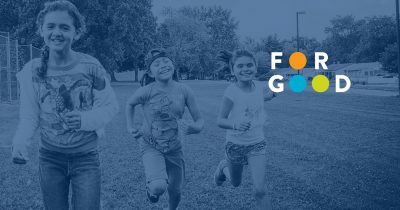 This episode of For Good explores how local educators throughout Central Indiana are introducing student-focused approaches to learning that acknowledge and address the social and emotional experiences of students. The goal—to support and empower students to reach their full potential. The approaches are all different, but the impact on a child’s mental health as well as academics are powerful. It is a persistent story of educational failure. The reading skills of roughly half of black and Latino fourth graders were measured below grade level in 2013 by the Brookings Institute. High school minority students had higher suspension rates, and they dropped out more. Students of color are disproportionately dealing with trauma, making it harder to learn in the classroom. MARLIN JACKSON: So I can tell you, third grade, my mother leaves the house and I go leave for school, and we finally get a call that she was arrested for shoplifting and she’s gonna be in jail for seven to eight months. You shut down. Emotionally, you become very numb. You’re just moving forward through the trauma, but you’re not learning to deal with the trauma. That’s Marlin, Super Bowl champion cornerback, describing his own childhood struggles in school. Trauma effects every child differently. Some act out, some disengage and others may stop showing up for class all together. Here’s school principal, Nicole. NICOLE KENT: It might not just be something that our mind would jump to that’s really traumatic, like a parent in jail, or some of the stories that you might think of when you think of trauma. It really might just be some unrest in the home, in some way, that then makes it difficult for the child to focus at school. MARLIN: Limitations are within ourselves, emotionally and socially, because we haven’t been taught. Today, Jackson and Kent are two of the leaders of a movement in a number of Central Indiana schools that aims to empower and educate students by teaching mental well-being. Different programs have different names, but each program embraces best practices and a student-focused approach. This is one of two Butler University lab schools. Nicole is principal here. NICOLE: We do a lot of work around trauma informed teaching, and it really allows us to take a scientific lens. Because when a student has been through trauma and is maybe reacting, it helps us to be able to know what’s happening in the brain at that time. And then, it’s our job to figure out what’s gonna work for this student to calm them down, to get them regulated. Both schools use the Reggio Emilia model, developed in Italy. Here is Butler’s dean of education, Ena Shelly. ENA SHELLY: One of the key principles of Reggio Emilia is a concept called image of the child, and we believe that the image of the kid is that all children are capable, competent, powerful learners and every action we take must match that image. Another important tenant is about the relationships. When you set forth a solid foundation of relationships and a belief in children as capable and competent amazing things happen. The lab schools use project-based learning, which gives children some control over the direction of their learning, and offers endless ways for students to express their mastery of knowledge. ENA: And I cannot wait to share with your teacher how amazing you have been. The physical environment is different here as well, softer lights, lots of textures and consistency. Bottom line, adults are required to interact with students differently. The Butler lab schools provide teacher training right on site, but there are thousands of teachers in Central Indiana. Hundreds of teachers get training in mental wellness at the Peace Learning Center in Indianapolis. Kristina Hulvershorn is its director. KRISTINA HULVERSHORN: I make the joke that if punishment worked, Indiana schools would be the best schools in the world because we’ve tried that for years, and years and years, and it hasn’t worked, especially for kids who have been through trauma or have challenging situations going on. For over 20 years, the Peace Learning Center has taught educators about restorative practices, a promising social science that teaches children how to repair relationships and problem solve. KRISTINA: Those sort of practices are really about coming up with a healthy balance of boundaries, which we all need. We need rules. We need perimeters. But then, figuring out an appropriate level of support. Teachers but language and social skills by conducting restorative circles. The circles promote mental wellness by bringing students together to talk about the problem and logical consequences. NICOLE: This is about skill building, the kind of skill that we all need throughout our lifetime. One of my favorite circles I’ve ever done was an issue of religious bias. Something went viral at a school that was extraordinarily offensive to a group of Sikh young men. In a circle, what you do first is you ask the person who did the harm to answer a few questions. The first thing that she said, actually, was, “I’m sorry you took it that way.” And I just remember gripping under the table thinking, “Okay, this is gonna violent,” and they listened patiently to her and when it was their turn to talk they asked her, “Do you know the significance of the turban in our religion?” And they said, “If you see a person in a turban and you’re in trouble, our religion dictates that we have to help you.” The power of that in the room was pretty pep-able. What was a really, really negative situation turned into a really huge learning opportunity, not only for the students involved, but also for the entire school community. Restorative practices helps school attain high achievement and behavioral standards, while simultaneously creating environments conducive to student learning. NICOLE: When you trust human beings to do the best for themselves and their community, most of us rise to the occasion. So, it’s about high expectations and knowing that people are capable of solving their own problems. Our next stop is Hamilton Southeastern, where every school in the district uses restorative practice techniques, and every school is staffed with a mental healthcare professional. BROOK LAWSON: So, let’s say there was a fight on the playground, how do we take that situation and instead of just punishing the child, how do we help them learn from that? Brooke Lawson directs the mental health programs at Hamilton Southeastern schools. A big effort at Hamilton Southeastern involves student-led initiatives and clubs. Last year, high school students started a mental health club called Bring Change to Mind. The Bring Change to Mind club now partners with community programs such as Stigma Free Fishers. Students have sponsored community events that showcase community mental wellness providers. BROOK: I think our students, through the club, are starting to learn to be a voice for others and be a part of the solution. Finally, we’re headed to George and Veronica Phalen Leadership Academy where we catch up to Marlin, the Super Bowl Colt’s cornerback, who is leading his after-school program, Fight for Life. As he walks the halls here, children instinctively reach out to grab his hand, and Jackson reaches in return. He knows firsthand the trauma many of these children experience at home. MARLIN: That’s why it’s called Fight for Life. This is how you’re going to fight against your environment, against the negative influences, is by understanding what it actually takes to succeed and a necessity of having a belief system, and having a standard for yourself that is positive and not buying in to the negative standards that are all around you because that becomes all that you know. Today, Fight for Life is sponsoring an afterschool enrichment program that’s teaching children important habits of mental wellness, starting with self-respect. MARLIN: And all I’m trying to do is say, “Look, here’s the other side. Here are the possibilities that are here if you are trustworthy, if you are respectful, if you are disciplined.” They see that there is light at the end of the tunnel, and there is a possibility to change and grow and to find yourself. Poverty and racism can make trauma recovery more difficult for children, but according to the American Psychiatric Association, mental wellness interventions, like Fight for Life, can make a difference toward happier adult lives. MARLIN: I tell kids all the time, it is first, important that you see something positive in this world for yourself. Seeing something out in front of you will help you move forward. There’s also early evidence that mental wellness initiatives and interventions, like the ones you’ve heard about today, are narrowing the achievement gap for minority youngsters, and that’s good news for Central Indiana families and communities. NICOLE: We also were able to pay data to see, did having this mental health support have an impact, and the outcomes were really, really positive. So, we were able to see that 82% of our students who received the mental health services had an increase in test scores. We know that if we provide the support for students that are struggling that it does have a positive impact. It holds a huge weight to us knowing we have students here in the younger years when we can help them regulate. We can help them cope. We can give them those strategies they need, so that hopefully they won’t be the students who are facing dropout or some of those more challenging things when they get older. MARLIN: Hope, hope is key. Hope is belief. Belief is action. When you really have belief, you will do because you see it, you can feel it, and that belief will push you forward. Sept. 15 kicked-off Hispanic Heritage month with a celebration and turning the Downtown Canal orange. More than 50 percent of Spanish-speaking people living in Indianapolis are …Read More.